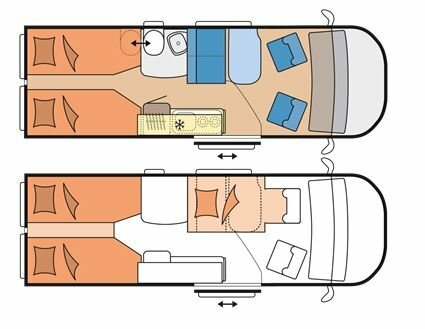 The Vantana will be available in season 2018 with a strong quartet of 4 attractive layouts. 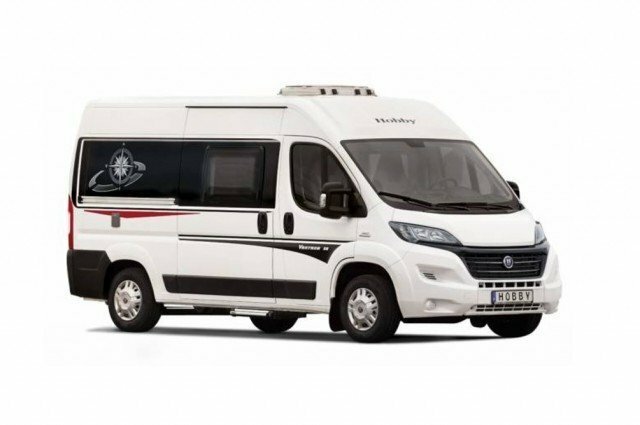 Two models, the K60 Fs and K60 FT, are just six metres in length, whilst the two larger representatives of the van series, the K65 Es and K65 FT, reach a length of almost 6.40 metres. 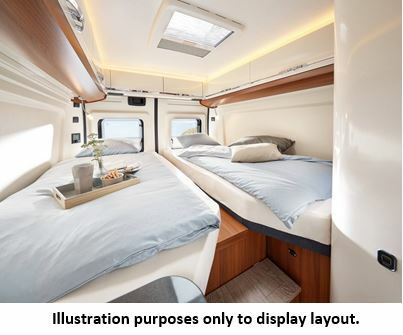 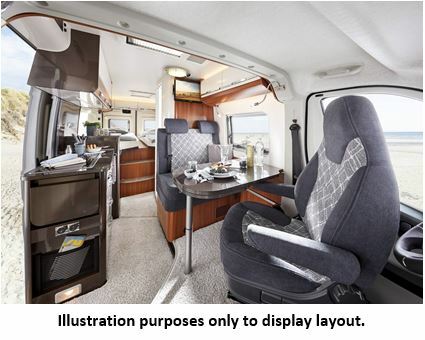 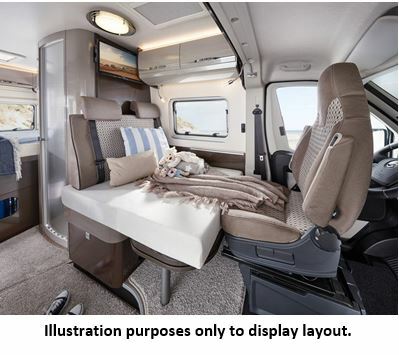 Thanks to the fact that they are just about 2 metres wide, all four models are highly suited for city trips and narrow roads, for instance toward surfing spots or remote mountain biking routes.